‘So much of the good juice of utility is allowed to evaporate out of commodities by distributing them unequally’. — Joan Robinson (1962) Economic Philosophy, London: C.A. Watts. What is to be ‘sustained’ in sustainable development? Now we have defined the concept of sustainable development and established its theoretical foundation within ecological economics, we are a little closer to the position where we can debate how an economy might move toward sustainable development in policy terms. However, we’re not quite there yet and we need to add a few more items to our ‘analytical tool kit’. In Unit 3 we focus on the microeconomics of sustainable development and how the market might be harnessed to bring about the appropriate resource allocation. Before this, however, we need to consider the macroeconomic context within which these market transactions take place. Specifically, given the fine balance between economy and environment, it is important to develop some notion of optimal scale; that is, the scale of the aggregate economy relative to the ecosystem. Curiously, as Daly (1992) points out, while defining the optimal scale of production or consumption is a primary focus of mainstream microeconomics, this fundamental concept is totally absent from macroeconomics. The main aim of this unit is to learn about ecological economic efficiency (EEE). This term, first coined by Herman Daly (1991), focuses on throughput use. Specifically, it’s about the efficiency with which capital (both natural and man made) is used to provide life support and life-enhancing services (Daly 1996, p. 83). where MMK is man-made capital and NK is natural capital. This expression is the concise version of a more elaborate identity that reveals the four different dimensions of EEE. These dimensions are explored in the Reading 2.1 below. Refer now to Reading 2.1 by Herman Daly (1992), entitled ‘Steady-State Economics: Concepts, Questions, and Policies’. This paper, the 1992 Schumacher Lecture, was one of the first public statements by Daly on ecological economic efficiency (the first appearing in Daly (1991). The paper itself has been reworked since and parts of it appear in Daly (1996). Your main objective in reading this article is to familiarise yourself with the four components of the ecological efficiency ratio: service efficiency, maintenance efficiency, growth efficiency and ecosystem efficiency. Think of examples of each, and discuss their practical application with your classmates in the blog. Why is optimal macroeconomic scale ignored? The growth of total output relative to population means a higher standard of living because an expanding real output means greater material abundance and implies a more satisfactory answer to the economising problem. It is a great mystery why, in microeconomics, economists go to great lengths to separate benefits and costs, yet in the macroeconomic sphere it appears to be a non-issue. Cast your minds back, for example, to your introductory micro classes, and recall the profit maximisation condition, ‘MC=MR’; viz. it is rational for a firm to increase output up to the point where marginal cost (MC) of production is equal to the marginal revenue (MR) received for that output. Any output beyond the point where MC=MR will be adding more to a firm’s cost than to its revenues. There are countless other examples. How, then, does one go about identifying optimal macroeconomic scale? To what extent should NK continue to be converted into MMK to expand the physical scale of the macro-economy? As it was noted in Unit 1, how well the stock of MMK is able to bring about qualitative improvement in the human condition depends upon how effectively it serves an appropriately conceived hierarchy of intermediate ends – the ultimate end. The capacity to serve the ultimate end depends upon the service-yielding qualities of these physical commodities. Unlike MMK itself, though, the service yielded by the stock is a ‘psychic flux’ (Daly 1979) with no physical dimensions which means, of course, it is not something that can be accumulated. As Lawn (2001, p. 80) points out, as a flux rather than a stock or a flow, service closely corresponds with the notion of ‘psychic income’ as defined by Fisher (1906). Psychic income can be viewed as the full benefit of economic activity, and it emanates from three main sources. The following excerpt from Lawn (2001, pp. 80-81) elaborates on these sources and explains how one needs to consider net psychic income, or what he calls uncancelled benefits of economic activity. ‘The first source of psychic income is that which arises from the consumption or wearing out of human-made capital. The second source emerges from being directly engaged in production activities (e.g., the enjoyment and the personal sense of contribution and self-worth obtained from work). The third source is the psychic income yielded directly from natural capital in terms of its existence values and its aesthetic and recreational qualities. Obviously, this final source of psychic income does not come from economic activity. Indeed, if anything, economic activity tends to destroy rather than enhance such values. It is, therefore, better that such values be taken as “givens” and their subsequent destruction be counted as an opportunity cost of economic activity. … Perceiving the final benefit of economic activity in this manner means one should never directly identify the quantity of human-made capital with benefit itself. The stock of human-made capital should always be construed as a benefit-yielding physical magnitude because there is no necessary correlation between the magnitude itself and the net psychic income it yields (Daly, 1979). It has been the direct identification of the quantity of commodities consumed with the intensity of net psychic income enjoyed that has led many observers to erroneously believe that consumption is a “good”. The benefit of producing and maintaining a stock of MMK is one side of the equation. The cost of this production and maintenance must be considered in terms of NK services foregone. To this end, we noted in Unit 1 that, to do this, requires a continuous entropic throughput of matter and energy. We also noted that this would inevitably have some deleterious impact on the ecosystem. ‘Consequently, human beings have no option but to acknowledge and accept some loss of the free source, sink, and life-support services provided by the ecosphere as they manipulate, refine, and directly transform natural capital and the low entropy it provides into human-made capital. Because natural capital is the original source of all human activity, the loss of natural capital services is the final or uncancelled cost of economic activity just as net psychic income is the uncancelled benefit. … Thus, in the same way human-made capital should not be directly identified with benefit, so the throughput of matter-energy should not be directly identified with cost. For, unlike the loss of natural capital services, the throughput constitutes nothing more than a cost-inducing physical flow that is necessary to keep the stock of human-made capital intact (Daly, 1979). It follows that, to be sustainable, a nation should only increase the physical scale of the macro-economy if this expansion leads to an increase in net benefits. In the event that net benefits do not increase, then the expansion in the physical scale of the macro-economy becomes ‘uneconomic’. While the likes of Daly and Costanza have been influential in the establishment of ecological economics, their thinking will have been influenced by a number of individuals who probably never referred to themselves as ecological economists. Among the classical economists, the Reverend Thomas Robert Malthus obviously deserves a mention (see Unit 1). So too, does John Stuart Mill (1806-1873) who wrote about the ‘stationary state’ in The Principles of Political Economy (1848). In more recent times, the names of Nicholas Georgescu-Roegen and Kenneth Boulding figure very prominently. Herman Daly, arguably the most prominent of commentators in the world today on sustainable development, pays special tribute to his mentor, Nicholas Georgescu-Roegen (whose work he describes as ‘magisterial’) in Chapter 13 of Beyond Growth: The Economics of Sustainable Development (Daly 1996). Indeed, there is widespread agreement among ecological economists that a key text in facilitating understanding of the economic aspect of sustainability is Georgescu-Roegen’s The Entropy Law and The Economic Process (1971). Writing long before the term ‘sustainability’ came into common usage, Georgescu-Roegen essentially equates ‘entropic’ with ‘sustainable’. He explains how mainstream economics is a non-entropic paradigm, largely based on the work of the 19th century neoclassical economists, Leon Walras and Stanley Jevons. Their ‘arithmomorphic’ (mathematical/ mechanistic) approach is a process of production/consumption completely divorced from the physical world according to Georgescu-Roegen. The essence of Georgescu-Roegen’s work can be summed up with reference to his entropy hourglass metaphor. ‘First, the hourglass is an isolated system: no sand enters, no sand exits. Second, within the glass there is neither creation nor destruction of sand, the amount of sand in the glass is constant. This, of course, is the analogue of the first law of thermodynamics – conservation of matter/energy. Third, there is a continuing running down of sand in the top chamber, and an accumulation of sand in the bottom chamber. Sand in the bottom chamber has used up its potential to fall and thereby do work, it is high-entropy or unavailable (used-up) matter/energy. Sand in the top chamber still has potential to fall – it is low entropy or available (still useful) matter/energy. This is the second law of thermodynamics: entropy (or “used-up-ness”) increases in an isolated system. The hourglass analogy is particularly apt since entropy is time’s arrow in the physical world. The analogy can be extended by considering the sand in the upper chamber to be the stock of low-entropy energy in the sun. Solar energy arrives to earth as a flow whose amount is governed by the constricted middle of the hourglass, which limits the rate at which sand falls, the rate at which solar energy flows to earth. Suppose that over ancient geologic ages some of the falling sand had gotten stuck against the inner surface of the bottom chamber, but at the top of the bottom chamber, before it had fallen all the way. This becomes a terrestrial dowry of low-entropy matter/energy, a stock that we can use up at a rate of our own choosing. We use it by drilling holes into its surface through which the trapped sand can fall to the bottom of the lower chamber. This terrestrial source of low-entropy matter/energy can be used at a rate of our own choosing, unlike the energy of the sun, which arrives at a fixed flow rate. We cannot “mine” the sun to use tomorrow’s sunlight today, but we can mine terrestrial deposits and, in a sense, use up tomorrow’s petroleum today. Kenneth Boulding is generally regarded as something of a maverick. Although a prolific writer, and a man of considerable intellect, it’s probably fair to say that he remained on the fringes of the economics academe. This is not unusual for someone who challenges the orthodoxy (as we shall see in Unit 4), and the same might be said of Nicholas Georgescu-Roegen and Herman Daly. It is sometimes suggested that Boulding’s forays into interdisciplinary studies, peripheral to the central developments within his discipline, were responsible for the lack of broad acceptance of his work. Perhaps, in time, his ecological and evolutionary approach to economics will become more widely acknowledged. Meanwhile, within the ecological economics fraternity his position of eminence has never been in doubt. Of particular note is his 1966 work, entitled ‘The Economics of the Coming Spaceship Earth’. This article is regarded as something of a classic and effectively set the stage for ecological economics with its description of the transition from the ‘frontier economics’ of the past to the ‘spaceship economics’ of the future. ‘If one starts from the vision of the economic process as an open subsystem of a closed finite total system, then the question of how big the subsystem should be relative to the total system is hard to avoid. How then have we managed to avoid it? In two ways: first, by viewing the economic subsystem as infinitesimally small relative to the total system, so that scale becomes irrelevant because it is negligible; second, by viewing the economy as coextensive with the total system. If the economy includes everything, then the issue of scale relative to a total system simply does not arise. These polar extremes correspond to Boulding’s colourful distinction between the “cowboy economy” and the “spaceman economy”. The cowboy of the infinite plains lives off of a linear throughput from source to sink, with no need to recycle anything. The spaceman in a small capsule lives off of tight material cycles and immediate feedbacks, all under total control and subservient to his needs. For the cowboy, scale is negligible; for the spaceman, scale is total. There is no material environment relative to which scale must be determined; there is no ecosystem, only economy. In each of these polar cases, the only problem is allocation. Scale is irrelevant. Refer now to Reading 1.2 by Kenneth Boulding (1966) that first appeared in Jarrett, H. (ed.) (1966), Environmental Quality in a Growing Economy, Johns Hopkins University Press, Baltimore. Discuss the relevance (or otherwise) of ‘The Economics of the Coming Spaceship Earth’ to current environmental problems and policies. 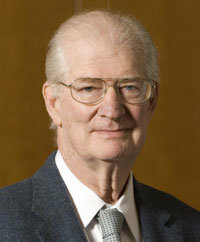 Professor Herman Daly was the World Bank’s senior environmental economist from 1988 to 1994, but resigned after becoming frustrated with the institution’s bureaucracy and outdated policies. In his farewell speech to his World Bank colleagues, Daly advised that they take “a few antacids and laxatives to cure the combination of managerial flatulence and organizational constipation”, and prescribed “new glasses and a hearing aid” for the World Bank in dealing with the outside world. In April 2002, Daly went back to the World Bank and gave an oft-cited speech (an excerpt appears below) as part of the ‘Environmentally and Socially Sustainable Development Month Distinguished Speaker Series’. This speech was important in that it puts forward the case for focusing on throughput rather than utility (You may want to read the full transcript of the speech which runs to 13 pages). First, utility should be sustained; that is, the utility of future generations is to be non-declining. The future should be at least as well off as the present in terms of its utility or happiness as experienced by itself. Utility here refers to average per capita utility of members of a generation. Second, physical throughput should be sustained, that is, the entropic physical flow from nature’s sources through the economy and back to nature’s sinks, is to be non-declining. More exactly, the capacity of the ecosystem to sustain those flows is not to be run down. Natural capital is to be kept intact. The future will be at least as well off as the present in terms of its access to biophysical resources and services supplied by the ecosystem. Throughput here refers to total throughput flow for the community over some time period (i.e., the product of per capita throughput and population). These are two totally different concepts of sustainability. Utility is a basic concept in standard economics. Throughput is not, in spite of the efforts of Kenneth Boulding and Nicholas Georgescu-Roegen to introduce it. So it is not surprising that the utility definition has been dominant. Watch Herman Daly on YouTube talk about the ends-means spectrum (10 minutes), on why it is important to preserve sources of low entropy as the ultimate means. The ultimate ends, he says, is a much more difficult an issue to ponder. What, in your view, is the ultimate ends? Discuss this issue with your classmates. The main objective of this unit was to extend our initial theoretical analysis of the sustainable development concept by defining ecological economic efficiency. In doing so, this further highlighted the interdependency of sustainability and development, and the notion of an optimal macroeconomic scale – something completely overlooked by neo-classical economics. 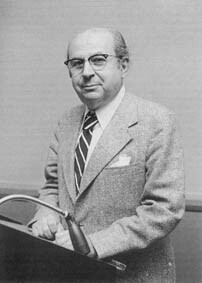 The likes of Georgescu-Roegen and Boulding were early critics of this shortcoming within mainstream economics. Herman Daly and others have since taken up the cudgel, Daly arguing for sustainability of throughput instead of utility. Ecological economic efficiency (EEE); throughput; service efficiency; maintenance efficiency; growth efficiency; ecosystem efficiency; optimal macroeconomic scale; uncancelled benefits of economic activity; uncancelled costs of economic activity; net sustainable benefits; net psychic income; lost natural capital services; the entropy hourglass. Boulding, K. (1966). ‘The economics of the coming spaceship earth’, in Jarrett, H. (ed.) Environmental Quality in a Growing Economy, Johns Hopkins University Press, Baltimore. Daly, Herman E. (1979). ‘Entropy, growth and the political economy of scarcity’, in Scarcity and Growth Reconsidered, Smith, V.K., (ed.) Johns Hopkins University Press, Baltimore. Daly, Herman E. (1991). Steady-State Economics, (2nd edn. ), Washington D.C.: Island Press. Daly, Herman E. (1992). ‘Steady-state economics: Concepts, questions, policies’. Bristol (UK) Schumacher Lectures on Re-visioning Society – Linking Economics, Ecology and Spiritual Values, October. Daly, Herman E. (2002). ‘Sustainable Development: Definitions, Principles, Policies’. Invited Address, Environmentally and Socially Sustainable Development Month Distinguished Speaker Series, World Bank, April 30, 2002, Washington, DC. Jackson, J., McIver, R. and McConnell, C. (1994). Economics, (4th edn. ), Sydney: McGraw-Hill.